In "Continuing Cooperative Development, " a series of guided tasks helps the reader acquire specific skills of listening and responding that, in turn, help a speaker to express and articulate thoughts and plans that lie just beyond what they knew that they knew. By adopting a certain style of speaking and listening to colleagues for agreed periods of time, motivated professionals can take individual control of their own development and increase the feeling of collegiality in their workplace. 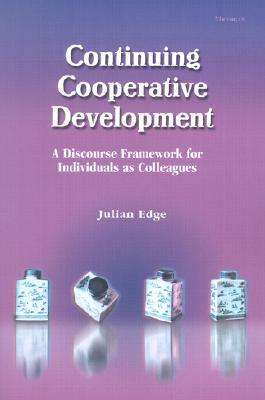 "Continuing Cooperative Development" draws on Edge's experience of more than ten years using this framework worldwide and provides authentic examples to guide the reader. This interactive framework is demonstrated in the book as part of a reflective teaching approach in response to everyday classroom problems, and also as part of a more formal, action-research approach to the formulation of local educational theory. The key theme of this book is the power of non-judgmental discourse to facilitate the development of ideas and action, accessing both cognitive and emotional intelligence. The transcribed and interpreted data of authentic interactions from the Americas, Europe, and Asia serve as evidence for the argument and as guidelines for implementation. The work is set in the field of TESOL, although its relevance reaches across discipline boundaries. The teachers featured in the book have duties ranging from the instruction of young learners to the supervision of doctoral research. The common denominator is that these people are motivated educators, committed to extending their own understanding and developing their own style of being an aware professional.